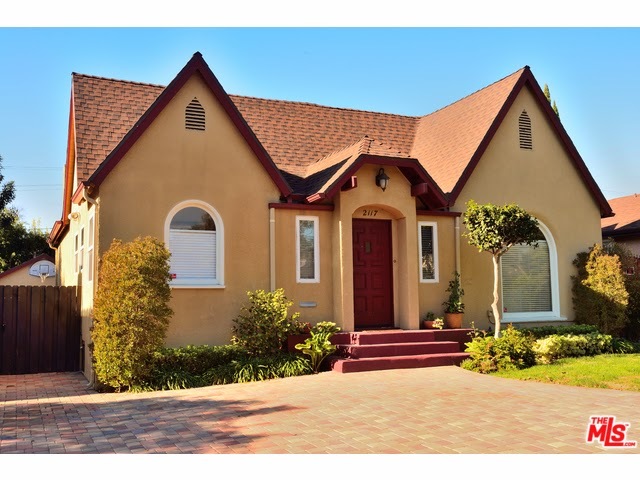 The Westwood Real Estate Market Blog: What Did That Westwood Home Sell For At 2117 Veteran Ave? What Did That Westwood Home Sell For At 2117 Veteran Ave? The Westwood home at 2117 Veteran Ave, LA CA 90025 lasted 43 days on the market before accepting an offer on 1/2/15. This late 20's Country English home has been expanded and remodeled throughout and is in move-in condition. This home was last sold in April/May of 2013 for $1,299,000. This represents about a 14% increase in a little less than two years. On 2/4/15, 2117 Veteran Ave closed about 1.27% under the asking price at $1,480,000 |$762 $/sf|. According to the MLS, the home is a 3 bedroom / 2 bath, 1,943 sq ft of living space on a 6,750 sq ft lot.